How beautiful ! I really miss you guys ; very fond memories of you in China. I adore the specifics of this piece ; very detailed, soft, and inviting. Way to go! Always enjoy seeing your workmanship. This year I also had the opportunity to be in Colorado for the Quilt of the Plains to see your other pieces and, of course, a whole community of quilter’s. What a treat. Thanks Donna. 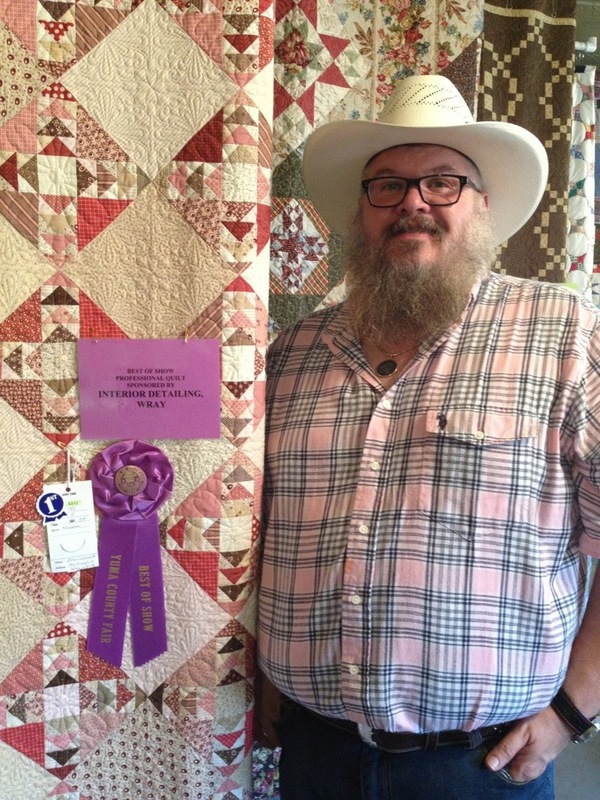 It was nice to see you at quilts of the Plains. The quilt you made for the theater was beautiful!! !